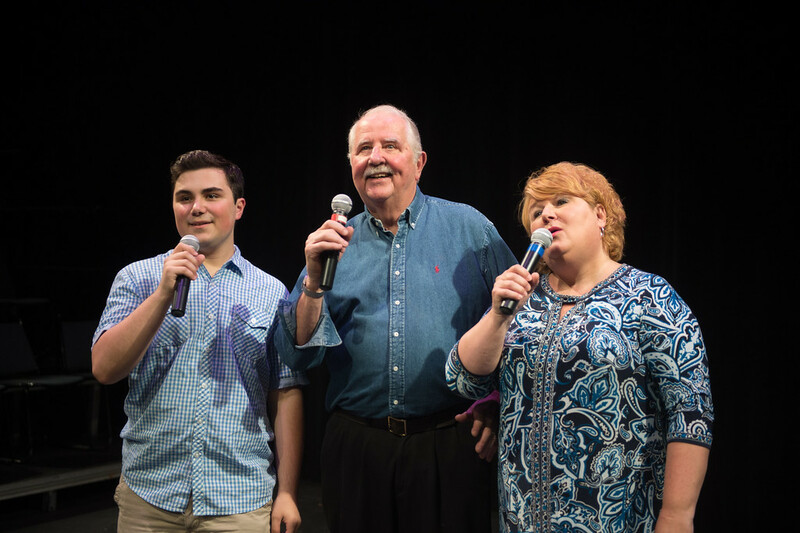 Back by popular demand, Crossroads Repertory Theatre will follow up last year's 50th anniversary Musical Cabaret with another installment of stirring songs, entertaining dance and hilarious repartee that will provide audiences with an evening of toe-tapping fun. Opening July 1, Crossroads Rep will continue its long history of doing Cabarets during its past 50 years, but none of the performances are quite the same. "They're all different based on who the writer is, who the musical director is and the style of music they choose, so while we have done cabarets in the past, each one is different," said Indiana State alumnus Brandon Wentz, director of "Cabaret" who has been working professionally in the theatre for about 16 years. While being involved in theatre since elementary school, this is Sami Ginoplos' first time trying her hand as an assistant stage manager for a production.But since rehearsals began in early June, she has quickly discovered how to run the backstage and help with paperwork. "I didn't know that so much paperwork would be generated from the stage management side of things," she said. "It's interesting to see how a different side of a show operates. Getting paid to work in theatre is a dream come true, and I'm so thankful to have this opportunity." Bringing the show to life has been a rather interesting process, especially as the cast and crew come at it from three different sides in rehearsal. "We have music rehearsals, dance rehearsals and we have script rehearsals and the cast has a lot to undertake in a very small number of rehearsals, so we don't get to play around and try things as much as say, maybe people in Boeing Boeing are able to in rehearsal," Wentz said. "I love the interaction with the audience. The whole reason I wanted to be involved with the cabaret, is because there isn't really a fourth wall. We get to talk to and play with the audience throughout the night." "Cabaret" is going to be filled with great songs from both classic musicals and musicals that are just touring or still on Broadway, Wentz promised, along with providing the audience with laughs throughout the evening. "It's really a good night of entertainment," he said. "Cabaret" runs at 7:30 p.m. July 1, 2, 7, 16 and 22 and at 4 p.m. July 3 in Indiana State's New Theater, 536 N. 7th St. Single-production tickets are available for $20. For tickets to the show, call 812-237-3333 or go to http://www.crossroadsrep.com. "Cabaret" runs at 7:30 p.m. July 1, 2, 7, 16 and 22 and at 4 p.m. July 3 in Indiana State's New Theater, 540 N. 7th St. Single-production tickets are available for $20.